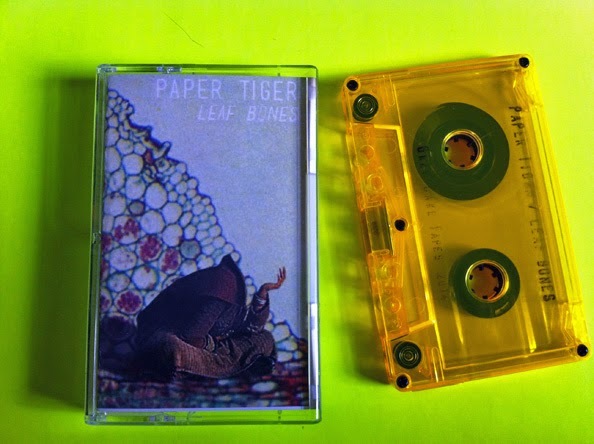 To describe the music of Paper Tiger is to describe a color which is not prime. What is purple? Purple is a mixture of blue and red. Ah, yes, that explains it. Unless you have the follow up question: What are blue and red? 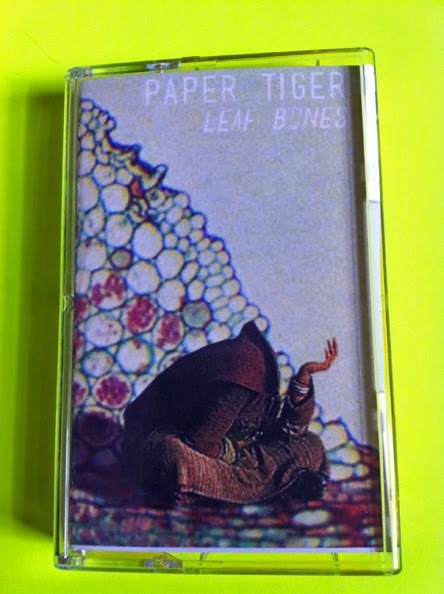 Then that becomes the process of accurately portraying the musical pop rock but not qualities on “Leaf Bones”. Immediately upon listening to the tape I hear hints of Owl City, only not… which tells you little to nothing about how this actually sounds. As we get into the second song I hear Blue October come through. Blue October has more albums than a lot of bands and they are known for different songs and styles, so that’s not very helpful either, yet I could get even more specific and say that the song channels the Blue October song “Jump Rope” or something along those lines in the sense of the times Blue October gets more pop. Now here’s where it gets tricky. I can hear Animal Flag come out on the second side, but there are also hints of the Polyphonic Spree and twee. 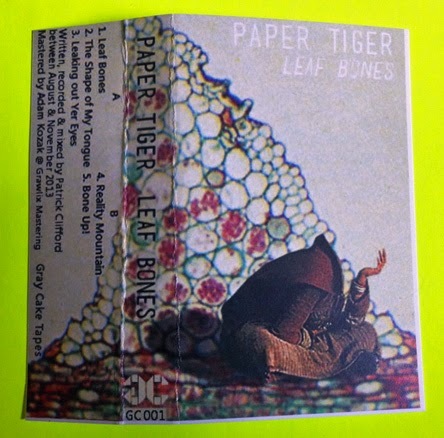 (No, I don’t say “PolyTwee”, though I thought about it) At first I jot down “folk punk” but then add a “pop” to it, realizing that perhaps this should be filed under “folk pop punk”, which could very well be something that Paper Tiger just invented. 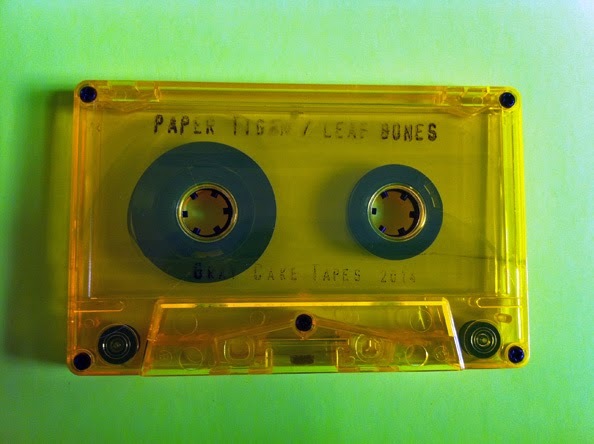 Whatever you call it, this music is light on a level that makes it fun to listen to on cassette, drawing from the popular groups in the heyday of cassettes though not sounding directly like any of them (Milli Vanilli this is not, though it does have similar reasons as to why it works so well on tape) This is just such a great unique mixture of elements executed in a way I have not really heard lately if ever before. And it all ends with a game of Pong in space, which you really can’t top or expect but what can you really expect from Paper Tiger or than rock?